In order to address these common problems when working from home (whether full-time or part-time), I compiled a list of probable causes for becoming overwhelmed, stressed out and experiencing confusion and how to fix them. Please feel free to add your own additions to this list in the comment area and if possible, address your workarounds and solutions for these issues as well. Are you ready? Good, then let’s start! This is something I wrote about recently. This is something that you might struggle with – especially when you have a day job, but you are creating your own (online) business on the side. The guilt comes from the fact that you feel you should be spending more time with your family – instead of spending it on your computer. Although your motivations for being on the computer are good (building your business and generating income for your family), you may still feel that the guilt exists, thus it’s preventing you from performing at your best. The conclusion in the article was that the guilt can be overcome by clear communication with your family, by setting clear boundaries and by defining your working times. The fact that you are working too much can be a very common issue for many entrepreneurs. You can be very passionate about what you do, so you get sucked into the depths of your work. At the same time, you can be working too much, because of your ineffective working methods and lack of outsourcing. a) Track your time. Take a good look at your working hours to really see, how much time you spend on your work. To track your time, you have two options: do it manually or do it almost automatically. The first options refers to classic time logging, where you write down each and every task you do for at least a week, write down how much time it took to do the task, analyze the data afterwards and take appropriate actions based on the data (for e.g. eliminate time wasters). This method works as it helps you to see what you are really doing. In other words, are you really working productively or are you just kept busy on secondary tasks. There is also the (semi) automatic way of time tracking. You can do this with applications like RescueTime or DeskTime. The same actions are needed as with manual time logging: you have to analyze the time spent, so that you can take appropriate actions to improve your time usage. For instance, RescueTime gathers information on what you do on your computer, what websites you accessed and it then shows a nice report on how you days were spent. The only manual part comes when you are doing something away from your computer. That’s when you enter the data to the system, so that it is shown in the report as well. b) Automate whatever you can. Try to find ways to automate your work as much as possible. What you can automate depends of what type of tasks you have to do. For instance, I’m “semi-automating” my Twitter management with TweetAdder and HootSuite. This helps me to spend less time on social media and focus on more important parts of my blog. c) Outsource whatever you can. I used to be suspicious towards outsourcing. Now, I can’t live without it. I try to outsource those things I’m not able to do myself (voice-overs, graphic design, web site UI design, proofreading), but it doesn’t have to stop there: you can even outsource tasks you can do yourself – for time saving purposes. There are five ways to outsource: hire a full-time virtual assistant (VA), hire a part-time VA, hire help on project basis (on oDesk, Elance) or micro-outsource through Fiverr. With Fiverr you can get a lot of smaller tasks done very inexpensively. However, if you are looking for a employee, hiring a VA is your option. There is also the fifth way and that’s outsourcing tasks to your family members. For example, I used to “outsource” the proofreading of my posts to my wife. Since our schedules are now different because our baby, I’m using Fiverr for getting these tasks done. d) Get rid of unessential tasks. Are you sure you are not doing something extra, something that doesn’t bring any value to your business? If so, my question to you is: why are you doing them? Try to figure out the essential tasks (see the section in this post where I talked about time tracking) which bring you greatest results and get rid of the rest. For instance, when I’m building my blog, I’m not wasting time on Pinterest, Facebook or SEO. Instead, I focus on guest posting, list building and interviews. By getting rid of everything else, I feel super-focused in what I do and I can channel my energy towards those certain things only. e) Limit the time. Implement MED in your actions. MED stands for Minimum Effective Dose and it defines the bare minimum effort to make an effect on something. For instance, I’m spending time on social media (Twitter) only 15 minutes per day. During that time I retweet other’s tweets, reply to comments, share information about my blog posts and give answers to questions. That’s just in 15 minutes. This way I’m not I’m not letting social media control my time usage too much. You have a day job and you might have a family. On top of that, you are trying to build your business on the side. Your days are very intense and you may feel that there isn’t enough time for yourself – to relax and unwind from the day’s busyness. When this free time is missing, you burn yourself out very fast. The fact is that you need some personal free time for your own well-being too. It’s time to have a discussion with your spouse (and kids) about the situation. Let them know that in order to relax and recharge, you want to take some personal time for yourself. This time off doesn’t have to be long – even 1 or 2 hours every now and then is enough. With this time, you can get your mind off the family and business matters, but also to have more energy for your family. Try to arrange a babysitter or negotiate with your spouse, that he/she takes care of the children while you are gone. If your family has small children too, ask your (or your spouse’s) parents to the rescue and let them babysit your children while you are gone. Keeping the good relationship alive with your spouse is crucial – not only for yourself but for the whole family’s well-being as well. If your spouse is stressed and tired, this will reflect negatively to the rest of the family too. This stress can be caused by your working schedules and spending too much time on the computer – instead of with him or her. In fact, this situation may be very common when you are building your own business, while you continue to have a full-time day job. When keeping the relationship vital and alive, the communication plays important role in this situation. If you sense that your relationship isn’t getting enough attention or that your spouse expresses this concern directly to you, the best way to solve the situation is to sit down and talk honestly about it. When this is done, everyone knows what is going on and what kinds of expectations are set towards you (and what expectations you have towards your spouse). This discussion also helps you to fine-tune your working hours and find more ways to spend time with your spouse. To get some ideas on how to find more time for your relationship, check out this post I wrote earlier. It deals specifically with the time aspect in your relationship. Especially since me and my wife had a baby, this topic has been brought up frequently. My wife is tied pretty much most of the time due to taking care of our baby. I have a day job and as an athlete I’m constantly exercising. On top of that, I’m also building my online business on the side. Your situation may not be as hectic as mine, but let me illustrate different ways that we have tried to tackle this issue. First, we have a family calendar where we mark our important events. This helps us to plan ahead our activities and schedules. Second, we are blessed with grandparents living very close to us. In fact, they are very eager to take care of our son when we are away for couple of hours. Third, I also spend time together with my son. Although I’m working and having athletic hobbies, I still want to take part of this activity, since it’s very important part of being a parent. Fourth, I have given up on certain goals of mine for the time being. For instance, my goal was to train for the IronMan distance triathlon, but I dropped that goal because that would have required too much time away from home. Fifth, I wake up early. By doing this, I can work on my blog and also exercise while others are still sleeping. This gives more flexibility to my schedules and it’s easier to babysit our son – while my wife can spend time on her own. One of the biggest differences in my personal productivity between the times before our son was born and after having him is the fact, that the available time for my personal projects isn’t solid. As a matter of fact, you may realize this yourself too: you might have a moment to work on your stuff, but all of a sudden that time is then interrupted by your baby’s crying. You might have many of these smaller working sessions throughout the day, instead of having one or two solid time blocks of time. Because the available time for your projects might be limited, you should always know your next action and plan your days in advance as much as possible. This way you can maximize the available time you have for your business and projects. The majority of my time (on the computer) is spent on building my online business. My wife also knows this. What about you – does your spouse/kids know what you are doing on your computer? If not, it’s time to sit down for moment and let them know! Have a family meeting and explain what you do. Don’t let it be mystery for your family. Otherwise they are unable to understand why you are spending time with your computer – instead of with them. By being transparent it helps to gain more understanding towards what you do. 8. Should you nap when your baby is sleeping or not? Especially when working part-time on your projects or on your business, you know that the available time for this activity is very limited. At the same time, I recognize that at times when I’m coming back home from work, I’m tired. Should you work during the nap times or take a powernap depends of your situation. Personally, if I’m very tired I tend to take a nap, but otherwise I keep on working. I know that power napping is a very effective way to recharge your batteries, but at the same time you’ll just take note of the current work situation and make decisions on individual basis. I have been fortunate in having a home where there is a separate room for working. Although that room is also the place where our son is sleeping, it’s still a good place to work – especially if I need a full focus on what I do (considering that he is not sleeping there at the same time). Unfortunately this may not be the case with you. You have to share the same space where your family is and this makes working pretty difficult because of the distractions. Viable places for working outside your home are in the park (nearby), in a coffee shop or in a public library. Each one of these options has pros and cons, but in general (and surprisingly) these options are better for your concentration than trying to work in a noisy home environment. Next, you could find a co-working space in your town/city. Co-working space is nothing more than a shared space with other workers/entrepreneurs in your area. Co-working provides possibilities that are missing when working from home. For instance, collaboration, socializing and networking with others is one of the greatest aspects of co-working space. Next step forward is to rent your own office space. This may be out of the question for many (because of the costs), but on the other hand it provides a completely separate environment for your work. Finally if you miss your own working space in your home, try to schedule (as much as possible) your working sessions to those times when your family is not at home or when they are sleeping. For instance, if you become an early riser, the distraction issues pretty much disappears. That’s the very reason why I wake up at 5.00 – 5.30 AM every morning (even during the weekends). The available time for building my online business has decreased since me and my wife had a baby. However, with some smart planning, I have been able to squeeze more minutes out of my free moments, thus keeping the momentum alive. So, outsourcing, automating and limiting … those are the ways to get stuff done – even with a limited time budget. Before our baby was born; I was a bit suspicious of what’ll happen to my productivity. As anyone with a newborn baby in the household knows, your plans and priorities are going to change for good. Although having a baby will definitely decrease your personal time, it has also other effects in your personal time usage: you have to get rid of every commitment that doesn’t support your goals, you have to be flexible and focus on just the essential tasks. You’ll still continue to be productive, but the sooner you accept the fact the there is less time to do your things as before, the easier the change is going to be. Besides, having a baby is really a great way to set your priorities right and declutter your commitments. This makes your life so much simpler and easier. As you can see, working from home is not just dancing on the roses. Especially when you have a family to take care of, it sets a completely different level of activity and responsibility to your daily life. I hope that with these answers I was able to help you and provide some solutions to your everyday work-at-home questions. These are the very same questions that I have been dealing with myself. 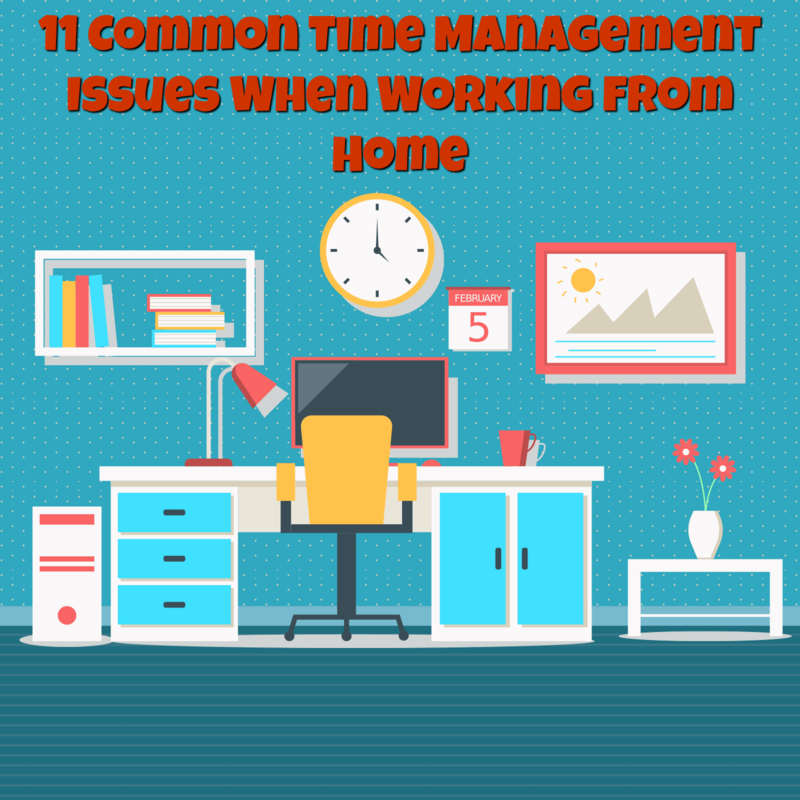 I also encourage you to tell me your time management issues related to working from home. I’m more than happy to provide you the right directions and advice on how to improve your work-at-home productivity. Over to you: What is your burning problem when it comes to work-at-home productivity? How did you solve your issues? What were your workarounds? I and rest of the work-at-home dads would be more than interested to know!